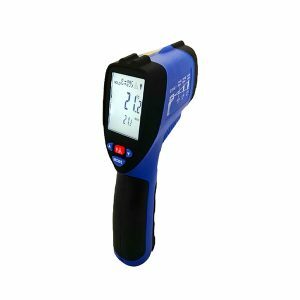 This world class dual purpose high-temperature Infrared & Thermocouple thermometer is a professional device for all kinds of industry. 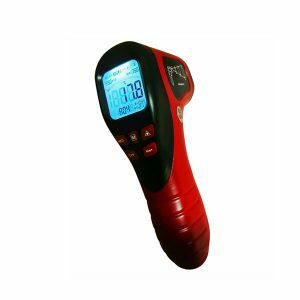 It combines with precision infrared technology for the surface temperature measurement, and K type thermocouple connection for the applications like air or liquid temperature, as well as other immersion purposes. 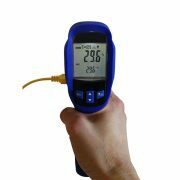 Thermometer is factory calibrated by the top quality calibrator so its accuracy is a must with ultra-consistency. Material is made of quality ABS plastic which ensures its durability, with rugged hand grip design to avoid slippery from holding. Other features such as adjustable emissivity, sizeable convex shape LCD screen with full backlight, data storage, MAX / MIN / AVG, and many more. It is extremely essential equipment for your daily projects. 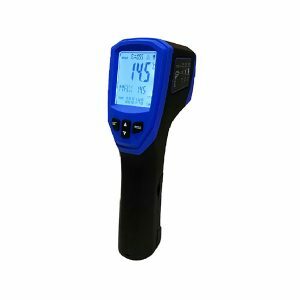 This quality high temperature data logger infrared and Type K thermocouple thermometer is at the top of the range within the temperature measuring instruments in the market. 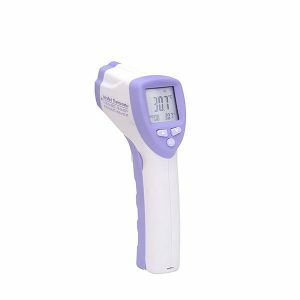 It can also be used as a standalone infrared and thermocouple thermometer, both measurements are allowed to save into the TF card simultaneously then downloaded directly to Excel Spreadsheet without any software in between. 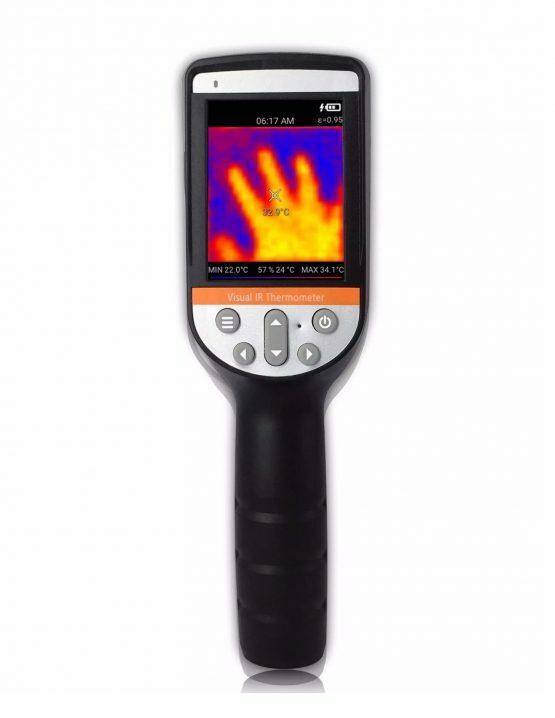 It allows you to measure the temperature of an object from a distance by sensing its radiated infrared energy. It is a feature-packed instrument with countless home and industrial uses! Body: Body temperature (32°C ~ 42°C), ideally for forehead, body. Scan: General measurement (-50°C ~ 260°C), suitable for household (surface temperature) or any general purpose. It is one of the state-of-the-art technologies in the market. 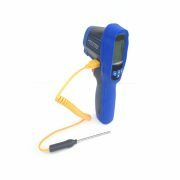 The most fascinating thing about this infrared thermometer is to take the surface temperature in a single trigger. This device covers the broad temperature range from -30 up to 1350°C. This portable device invasively assesses 16 infrared spots on the specific object through laser in circular motions to determine its temperature. It is suited for various frozen items as well as hot hazardous objects without contact harmlessly and quickly. The heat map can be displayed on real image for perfect visualization. An automatic photo capture function through the in-built infrared sensor, upon the targeting temperature is over the set point. Along with the standard supplied man height adjustable tripod, on-site temperature monitoring has never been easier with only minimum supervision. Memory is extendable up to 64GB for numerous data storage. All images or videos can be easily viewed or transferred to PC without any software. 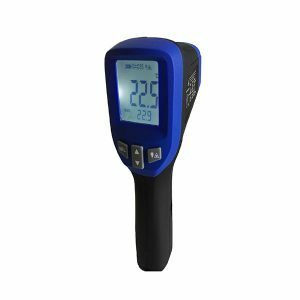 This infrared thermometer is one of the best, most affordable data loggers available in the market. Being able to record surface temperatures, it is very reliable, and its readings are highly accurate.